First comes news that Google is shutting down iGoogle, its popular Web portal. Now I find out that Mozilla is pulling the plug on Thunderbird, its popular email client. What's next: Microsoft turning off Skype? If you're a regular Simply Business reader, well, you're awesome. Also, you're aware that I've been test-driving Thunderbird for the past few months. It's not perfect by any stretch, but it's definitely among my favorite mail programs. The good news is it's not being killed outright; rather, Mozilla simply won't be developing it any further. That means we should be able to continue using it for many moons to come -- especially if some third-party developer picks up the Thunderbird ball and runs with it. 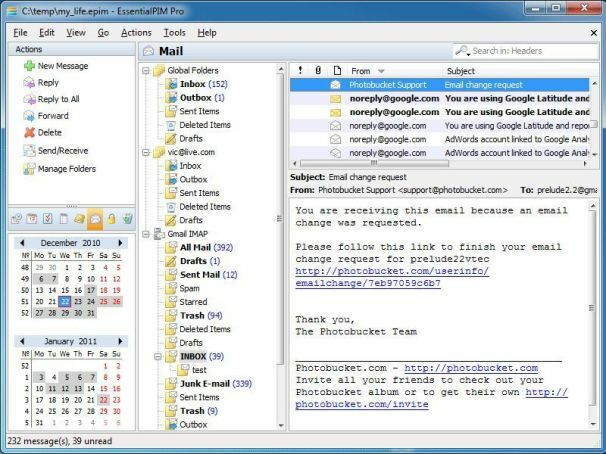 From the makers of the SoftMaker office suite, this surprisingly comprehensive mail client is especially good at synchronizing with Gmail, including Google Calendar and Contacts. It can also import from Microsoft Outlook, a big plus for anyone looking to migrate from that program. The free version limits you to two accounts; if you need more, the unlimited Pro version costs $49.95. My one complaint with emClient: as with Thunderbird, any message you reply to or forward isn't automatically marked as read -- a rather ridiculous oversight, in my humble opinion. 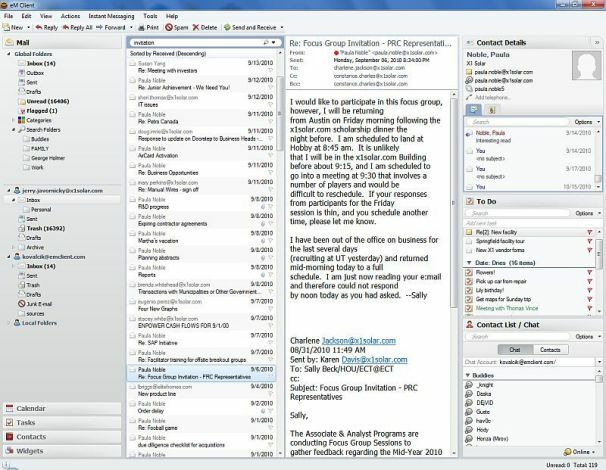 More than just a mail client, EssentialPIM is an old-school information manager, offering not only calendar, contact, and task management, but also a password organizer and notes manager. The $39.95 Pro version adds the option of syncing with Outlook for those who need that option. 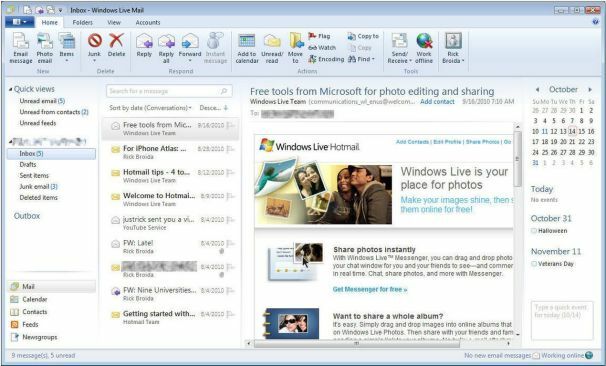 Although Microsoft will soon retire the Windows Live brand, Windows Live Mail will undoubtedly live on (even if it does so under a different name). And that's a good thing, as it's arguably the most visually appealing and user-friendly mail program out there. Good choices, no? Of course, if you've found a freebie mail client you like better, by all means shout it out in the comments. Personally, I'm still trying to figure out where to hang my mail hat. I do need a way to preserve my mammoth Outlook PST file (which, admittedly, was going to be an issue with Thunderbird anyway), so I'm still undecided.